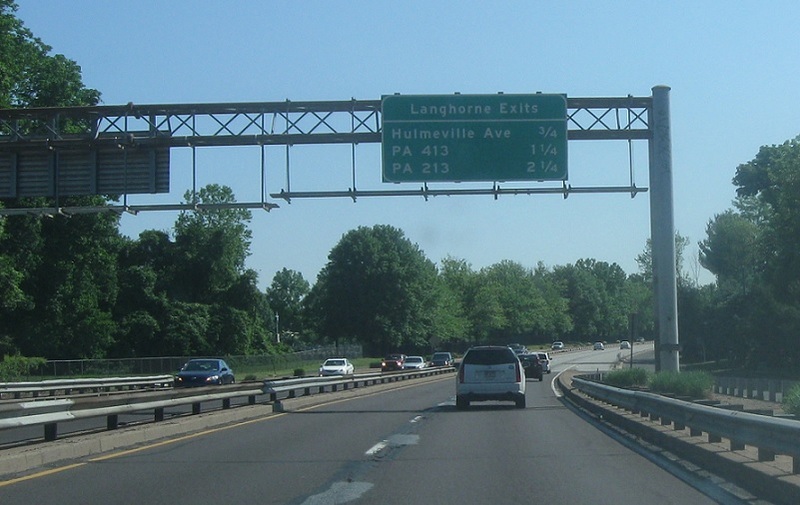 Just after the business loop split we’re advised of upcoming exits in the Langhorne area. 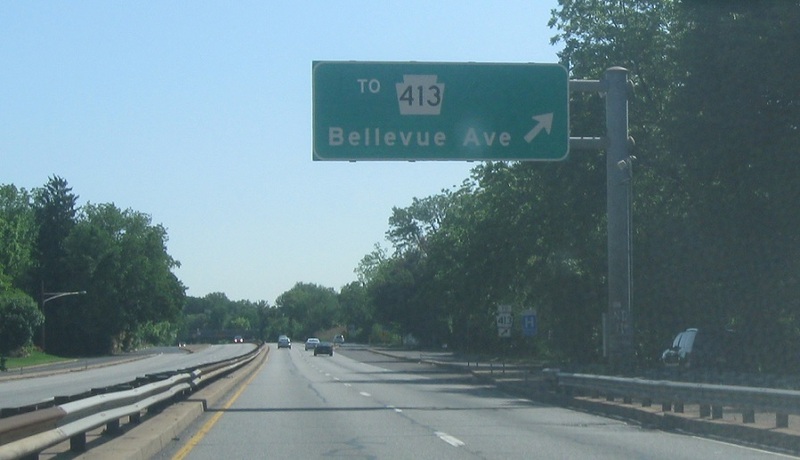 Follow Bellevue Ave to connect to PA 413. 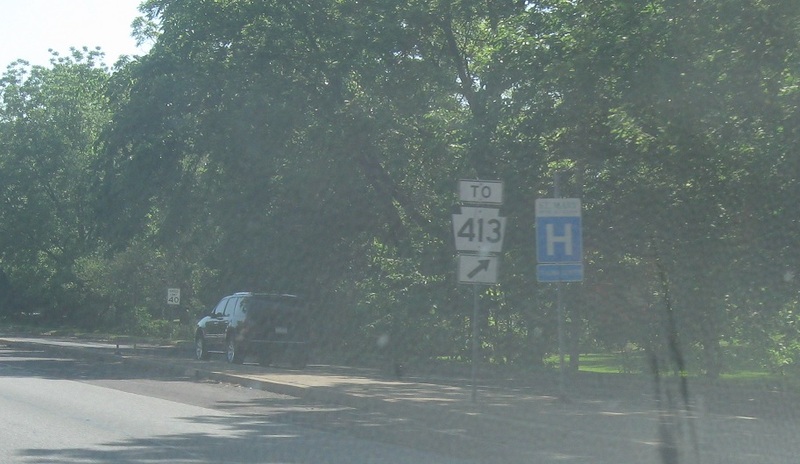 Exit to head to PA 413, but there’s no direct connection. 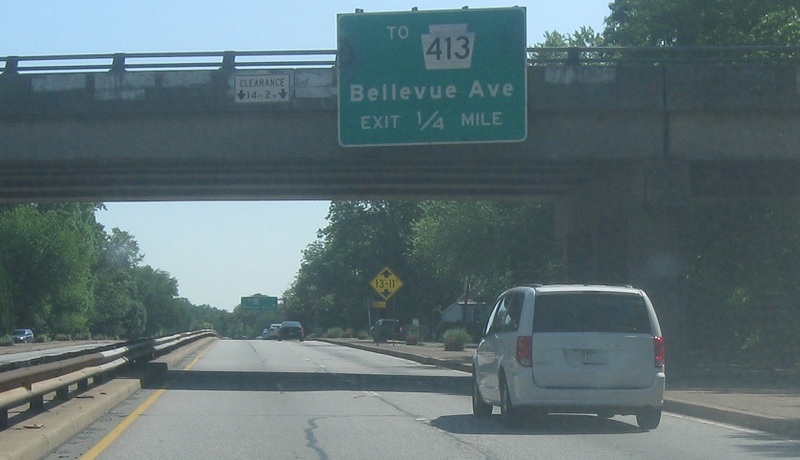 If you missed the overhead sign. 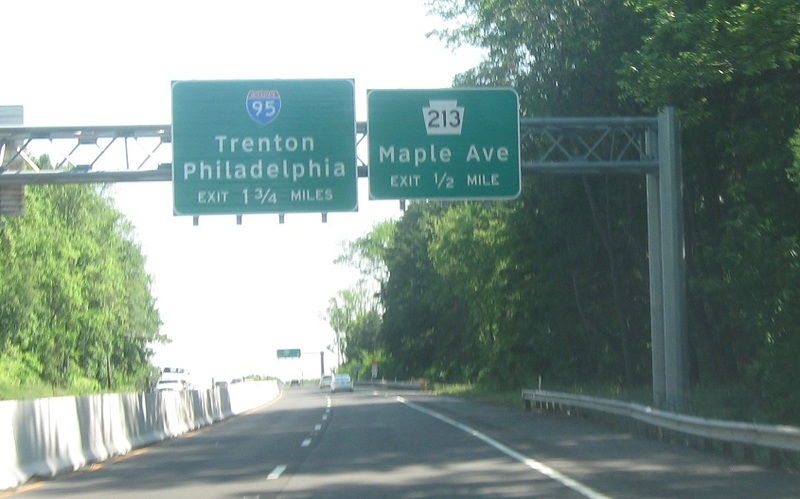 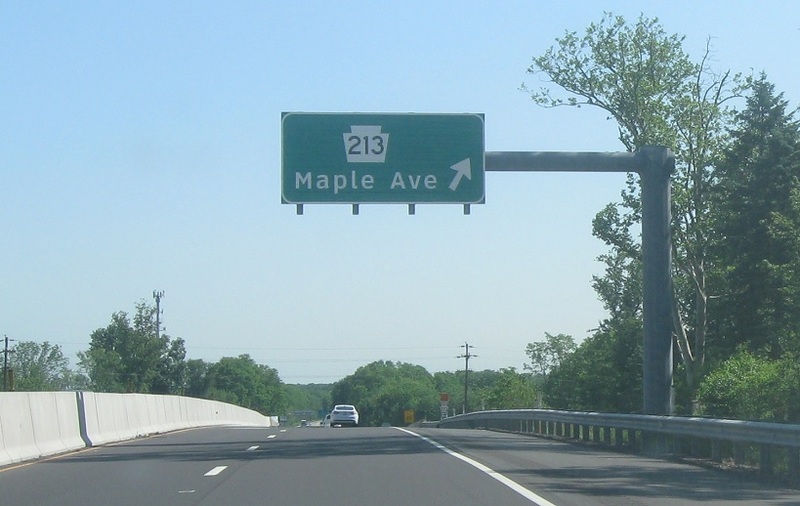 Just after that we’ll approach PA 213/Maple Ave. We’re 1.75 miles from I-95.